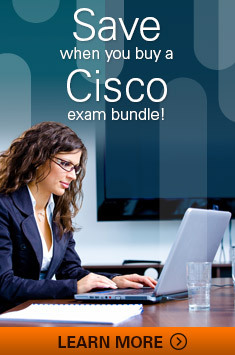 Cisco exams that begin with either a 650 or 700 exam code are self-administered and can be taken from anywhere you have an Internet connection. Timeframe: Once you purchase your online exam, you must complete it within 2 days. Once the test is started, you will have a defined period of time to answer the questions on the test. If you do not complete the exam within the 2-day window, it will expire and you will not be refunded the cost of the exam. Purchasing an exam is easy. Use the links under the Cisco logo on this page. Simply Sign in using your Pearson VUE web account, or Create an account if you do not have one. If you have forgotten either your username or password, use the links provided to reset them.